In 1988, the U.S. Department of Energy and the National Institutes of Health coordinated the Human Genome Project. The goals were to identify all the genes in human DNA, sequence the 3 billion chemical base pairs, and store that information in databases. It cost nearly $4 billion and took 13 years to complete. 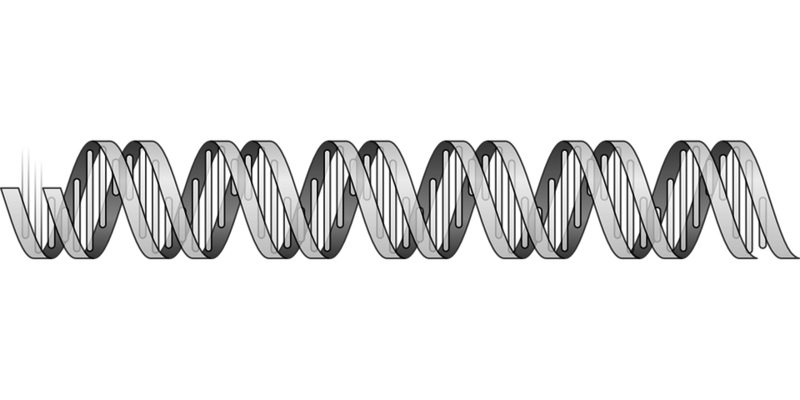 Today, scientists can sequence individual genomes in a matter of weeks. It previously cost about $1/base to sequence a genome, and the price has fallen by 100 million times. What does this mean for medicine? Consider Richard Resnick. He is the CEO of GenomeQuest, a company that builds software for genomic medicine. At a TED talk in Boston, he made the case for the importance of genomics and the future of medicine. Resnick describes the story of a 37-year-old woman who comes in to treat three types of cancer over five years – stage two breast cancer, stage three ovarian cancer twice, and then acute myloid leukemia. Each time she was treated with surgeries and chemotherapy, and yet cancers continued to appear until she went into respiratory failure and died. A postmortem gene sequence revealed that her genome contained a deleterious mutation that made it 90% likely that she would develop cancer in her life, and while that information was no good to her now, it was valuable to her family since they may also possess the gene defect. Genome sequences could identify it and make it possible for doctors to catch cancers earlier. Another example sees the genome of a young boy sequenced to reveal a point mutation that would not allow his body to break down food. After a bone marrow transplant and nine-month recovery, his body is back on track and he’s healthy again. These examples prove that the prospect of using the human genome as a universal diagnostic is possible today. Treating cancer with chemotherapy and surgery “will look like bloodletting,” according to Resnick – and it’s hard to disagree. There are a number of ultra-powerful genome sequencing machines being placed throughout the world. In an economy hemorrhaging jobs, it’s a good time to hold a bioengineering or chemistry degree because the genomic industry is growing at an incredible rate. China controls 20% of the market and as of 2010 has added 128 genome sequencers (at an estimated cost of $690,000 each) to its growing stable of research equipment. The goal in this monumental investment is to make genome-sequencing commonplace. So where is all of this heading? The possibilities are nearly endless. Future U.S. presidential candidates could publish the results of their genome to leverage themselves over other candidates. Lovers could discover if their spouse possesses the “cheating gene”. Our genome sequence could have designated sections of our Facebook pages! The lifestyle effects of the popularization of genomics are nebulous, but the medical benefits are as clear as day: longer lives, increased quality of life and more effective medicine. This is something we should all keep an eye on.